Grew Up... fast, in Annville, Texas. With her mother busy working at a local brothel, Tulip was raised by her alcoholic uncle Walter. But—more often than not—she simply raised herself. Visiting... Annville. Again. After making her way in the world, Tulip ventures back to Annville to reconnect with her old flame Jesse Custer. Profession... professional criminal. Or something like that. Tulip is a little vague about the “jobs” she pulls, but they frequently involve beating people up and occasionally even shooting down Blackhawk helicopters. Interests... playing poker, taunting Jesse, and assembling homemade bazookas. Personality... tough, flirtatious, poised, and incredibly violent. Tulip’s the kind of person who will assemble a bazooka while dispensing advice about love. Most of the time she’s sweet and charming, but push her buttons and her temper will flare up in particularly vicious ways. She’s got a strong sense of justice, but she prefers to dispense that justice her own way. Tulip O'Hare's popularity ranking on CharacTour is #1965 out of 5,000+ characters. See our top-ranked characters and read their profiles. 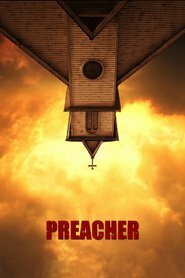 A preacher sets out on a mission to make the almighty himself confess his sin of abandoning the world. With his best friend Cassidy, an alcoholic Irish vampire, his love Tulip, a red blooded gun towing Texan, and the power of genesis, an unholy child born from an angel and a devil, Jesse gives up everything to set the world straight with its creator. Written by John Simmons.